This post was written in 2017, and I was amazed by how little life has changed! I had a major epiphany yesterday. I had just posted yet another book promotion post on our blog and found myself disliking it intensely. I have never liked the ‘hard sell’ and conveniently usually forget to do any, but if you want people to read (and buy) your books, you are supposed to do it well and often. But it always seems to leave a sour taste in my mouth, and I realised just how much I hate doing it. It seems ok to do it on Twitter, probably because it’s quick and you don’t have to pretty it up. But here on our blog, it just doesn’t look right, so we have decided to stop doing it. Our new books will get a mention, of course, plus any good news, but the constant blanket promotion will stop and be replaced with more interesting posts, something you would rather read, I’m sure. Personally, I don’t think you need to plug away at your books anyway. The covers and links are all there in the sidebar, all you have to do if you’re interested, is click on the image and you go straight through to Amazon. The pressures and stress of promotion have been gradually eating away at our writing time, and I am never sure if I’m doing it right, or in the right places. Which was another reason for my decision. Gone are the days when I could spend hours playing games or surfing the web, I just can’t do it anymore. After four or five hours my eyesight goes for a walk, the brain starts to seize up and I have to walk away. So my time is limited, and I have to find ways to fit everything in. If there is a way, you can bet I will find it! 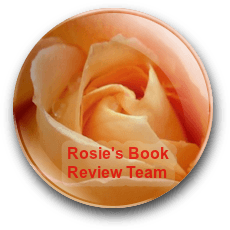 Anita is now an official reviewer with Rosie Amber, something we both love doing, and we have been doing some beta reading for some of our fellow bloggers/writers, which is reviewing really, just more in depth. We will be asking for help in this direction for ourselves soon! Revision is finally finished on our non-fiction book Lazy Days, the long awaited transcription of the logbook of a 40-year-old family holiday on the Norfolk Broads. We might have a blog tour for this one after it gets beta read. Work has begun in earnest on our joint WIP. This is another thriller, and it will eventually be terrific once I complete the outline for the story AND all the characters. iAuthor . . . anyone? In my extensive travels as an author and would –be marketer/promoter, I come across many sites, all promising to help boost your career, get noticed, sell more books… blah, blah, blah. One of those sites is iAuthor. Right from the start, I had trouble. Because there are two of us, using the same PC, they couldn’t seem to grasp the idea that we wanted to have our own log in page. Not a difficult request, seeing as though we have our own email addresses. But no can do, apparently. This got so confusing, I gave up trying to put my own books on there, leaving just Anita’s books. But it’s been over a year now and zilch. No sales or interest of any kind. Which could be my fault. Because it’s such a confusing site, I have never been able to figure out how to utilise it, or what to do to make it work better, something I find far too often on these sites. Why do they all assume that everyone knows what they’re doing? Or would they rather that idiots like me didn’t bother in the first place? A while ago, someone was talking about the benefits of a paid promotion on iAuthor. For just $14.95 your book is advertised on their site in a prominent position for seven days. So I thought, why not? I had been thinking about paid promotion, so this might be a good way to experiment, dip my toes in the water, so to speak. I chose Anita’s book Scarlet Ribbons and booked it. As you can see from the screenshots, something did happen. Not that I can understand what. All I do know is that no one has bought a copy of Scarlet Ribbons in a while, so it’s back to the drawing board. We would welcome any advice on this subject, as my brain cells are dying off at an alarming rate, despite the liberal use of a cattle prod! This was our first attempt at a ‘proper’ marketing strategy if that’s the right thing to call it, and I was a bag of nerves. Anita doesn’t do nerves, and I admire that about her very much. I tend to worry about all the little details, and I suppose as editor in chief, that’s sort of my job. Never been much good at blowing any kind of trumpet, and I fully expected something to go wrong at any moment. So no one was more surprised than I was, when Let it Go was selected to take part. Obviously a good sign, for if they didn’t like the cover or any other part of the book, we wouldn’t have been. And even more surprised, when loads of people started to nominate it. Not just the people we knew either. My worries began to recede as I started to get excited. Our KindleScout launch post was in all the places I could think of. Both websites, Facebook, Twitter, Goodreads, even Medium and bloglovin. And I had scheduled myself silly to get maximum coverage. So far so good. Then the worries began again. The campaign runs for 30 days, so what else could I do to get more nominations? Unlike other promotions, people can only nominate you the once on KindleScout, which means you need to know (or reach) a lot of people! I have made different posters on the same theme, ready to use, and on the surface, we appear to have the makings of a decent campaign. All this from someone who up to now, has been too shy to run a book tour. I have never been much good at asking people for anything, the fear of refusal always in the back of my mind. An awful lot of marketing I find, amounts to serious nagging and this is not something I am prepared to do. I have read countless books on the subject, and they all say the same thing. You have to swamp everywhere with the same message and keep doing this until it works, and I know many people do this. Comes across as a bit desperate though, doesn’t it? Or am I not quite ruthless enough? So, at the end of the first week we have received 70 nominations so far. I am still a nervous wreck, but over the moon by everyone’s response. If anyone has any good ideas, we would love to hear them, for we have only got this far because of all you wonderful people, and we want to keep on going! I have debated long and hard about sharing our news with you all. Supposing it amounts to nothing more than a glitch, something that only happened by chance, never to be repeated? But when it happened I couldn’t believe it. Moi? Did I actually do the right thing at the right place and make something happen? Against some people’s better judgement, I have never hidden our seeming inability to do even the simplest things and achieve even small amounts of progress. My reasoning was this; book promotion is so difficult, almost impossible, and to try to hide that fact, I think is wrong. It makes it even more special when fate decides to smile on us. A short while ago, I realised that we could run a free promotion on Amazon. And on the spur of the moment I picked one of Anita’s books, Scarlet Ribbons and booked the week. Five whole days of being free on Amazon. Add a bit of promotion on the side and something might happen. So I ran promo posts to spread the word, including Twitter, Google+ and Goodreads. As the days passed, I resisted the temptation to check the stats until the very last day. When I did finally check, my jaw hit the floor with a resounding thud. 36 copies of Scarlet Ribbons had been picked up! 36! Now, I know this is not huge, but compared to our past efforts it’s pretty miraculous to us, and Anita and I want to thank every single one of you for making a pair of old ladies very happy. Could this be the start of a trend, and if so, what should we do next? Apart from hoping that some of the 36 actually enjoy reading SR and leave a review or two, that is. When did life get so fast? It’s as if we are on a merry-go-round, and everything around us is becoming a blur. This was brought home to me this morning as I drank my first cup of tea. I was watching the sky get lighter, gradually changing from inky black to grey, wondering what kind of day it would be. Would it be boring, or eventful maybe? Busy, for sure, my cluttered desk an indication of that. As I watched, the sky became suffused with a gentle pink glow. Gentle fingers of soft pink stretched across the gradually lightening sky. Even as I watched the wonder of it all, it faded away in an instant, leaving no trace behind. It made me think of all those sunrises and sunsets of my youth. Was it my imagination, or did they seem to last for ages? My photographic skills are not ideal; my glimpses of nature’s marvels tend to be squeezed between rooftops and lampposts as I live in a busy town, but in a way, more precious to me in spite of it. Every glimpse is precious to me, and my collection of photos grows daily. I am supposed to be sorting through them all, as there is apparently a limit to what my PC can store. But I am having trouble finding the time for far more important tasks, so my eclectic collection with have to wait. I didn’t make any resolutions this year as I couldn’t bring myself to think positively about anything much. Being diagnosed with breast cancer just before Christmas will do that to most people, I should think. For all I knew then, I might not have much time left to worry about anything. Now, it would appear that I shall be around for a while yet. This latest personal drama has been a timely reminder that time is not elastic and no amount of cramming and stretching will make it grow or change the outcome. I shouldn’t think anything will change much this year. I will continue to write, blog and promote, but the desperation seems to have gone. If I never get anywhere, it will not matter. Not really, for I enjoy what we do too much. My time, in particular, is not finite, so the pressure is off and I am looking forward to the coming year already. Ben’s new book, Something in the Water, is being released just after Christmas. If we all promote it, even just by re blogging this post, we can help it fly! 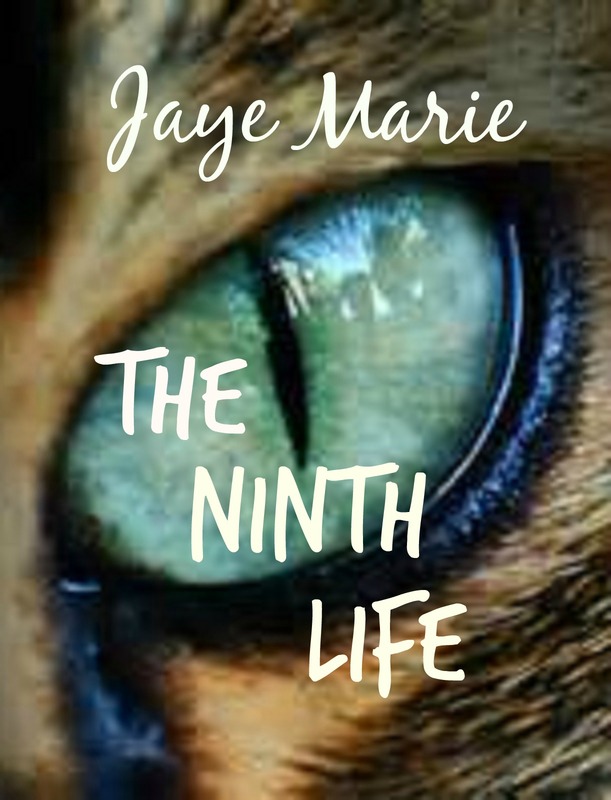 The Ninth Life is on sale this week and next, only .99p/.99c on Amazon. 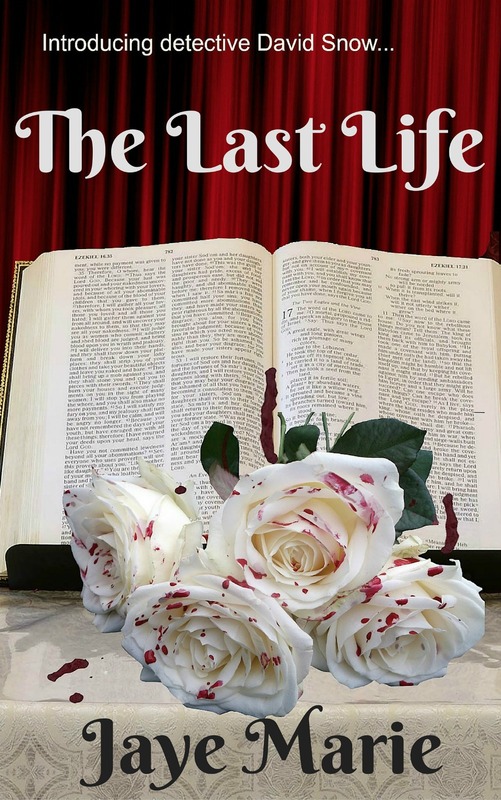 This is to herald the arrival of the sequel, The Last Life which goes live this week, and early signs are promising!